We are a fourth generation, family-owned business located in the beautiful Olympia, Washington. 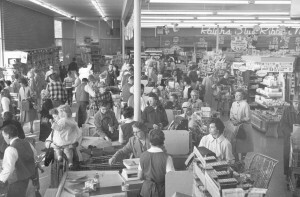 In 1944, our founder Ralph Stormans opened his first store, called Ralph’s Food Center inside the Grand Central Public Market at 6th and Columbia Street downtown Olympia. Ralph’s Food Center was the first large supermarket in the Olympia area. It quickly prospered because of the friendly shopping experience and competitive prices that were offered. For the past 70 years, Stormans Inc. has owned and operated numerous grocery stores and other related businesses in the Olympia area.